The Importance of James Bond collects Jef Costello’s critical writings on movies, television, literature, opera, conceptual and performance art, and even advertising. 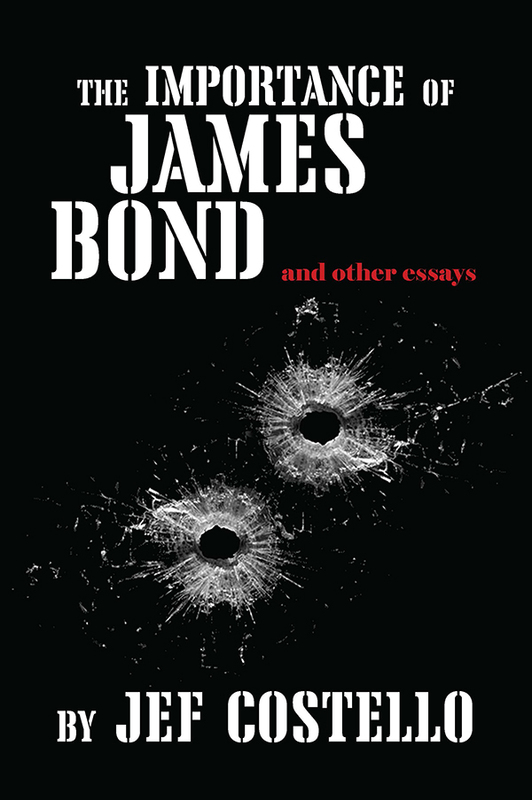 Costello is at his best in bringing out Traditionalist, New Right, and masculinist themes in such works as the James Bond movies, Fight Club, and Breaking Bad. He offers sensitive readings of the classics of dystopian fiction, explores fascistic themes in spy spoofs from the 1960s and little-known American movies from the Great Depression, and hilariously demolishes pretentiousness, cynicism, and vulgarity wherever he finds them. The Importance of James Bond is a treasury of wit and insight that establishes Jef Costello as one of the leading cultural critics of the New Right. 3. The Cat is Back! 10. Guy Ritchie’s The Man From U.N.C.L.E. —James J. O’Meara, author of Green Nazis in Space! Jef Costello is the penname of a high-functioning bipolar narcissist with a touch of Asperger’s who resides in a palatial, book-lined apartment in an unfashionable area of New York City. His many essays and reviews have appeared online at North American New Right, the webzine of Counter-Currents Publishing (www.counter-currents.com). He is the author of the novel Heidegger in Chicago: A Comedy of Errors (San Francisco: Counter-Currents, 2015). His writings have been translated into French, German, Russian, and Swedish.